In many parts of Europe, huge bonfires are lighted on hilltops and in churchyards on Easter Eve. They are sometimes called Judas fires, because effigies of Judas Iscariot are frequently burned in them. The Easter bonfires predate Christianity and were originally intended to celebrate the arrival of spring. The burning effigy once symbolized winter. mini eggs. Children sometimes go to a local community center to enter an Easter bonnet competition to see whose bonnet is the best and the winner gets an Easter egg. The Easter bunny is very much a part of the Easter tradition in England. The shops are filled with thousands which people buy to give to each other. The Easter bunny 'hides' the eggs in the houses and children on Easter Sunday search to find these treats. Hot-cross buns are popular foods on Good Friday. These are sweet fruit buns with crosses on top. Some people still make these with yeast, but shops now sell dozens in the week before Easter. The French call it Paques. The main celebration sets off on Good Friday with a solemn note. Church bells do not ring for three days starting from Good Friday till the Easter Sunday. This is a token of mourning for the crucified Christ. Early on Easter morning the children rush into the garden to watch the bells "Fly back from Rome". As the small folk scan the sky for a glimpse of the returning bells their elders hide chocolate eggs. 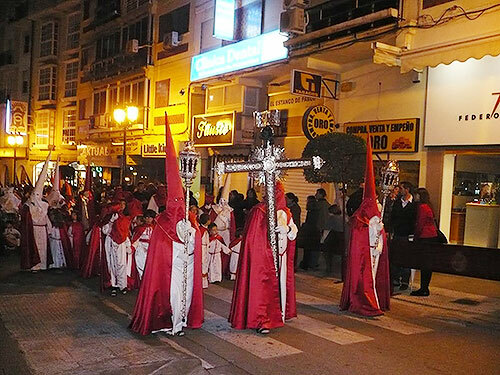 The Easter is celebrated with a real big feast in this Mediterranean country. The Paschal feast is celebrated with Agnellino, Italy's special popular dish for the Easter. This is a roasted baby lamb. Children enjoy a rich bread made specially for the Easter. It is shaped like a crown and studded with colored Easter egg candies.